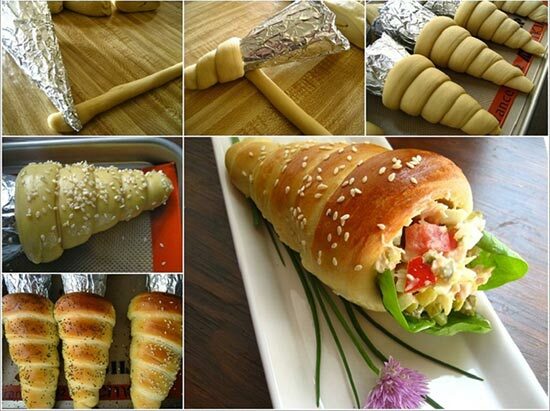 I love how gourmet these bread cones look! I think they look like scrumptious sea shells and I’ve never seen anything in the store that even comes close to them .I’ve seen this idea of making bread cones a few time and it seemed so fun to make. I do enjoy bread challenges and I simply had to give these cones a try. You can enjoy them plain or fill with salad, it looks so impressive, right?